The book of Ruth is set during the time of the judges, and relates the story of a young woman of Moab who became the great-grandmother of David and an ancestress of Jesus. 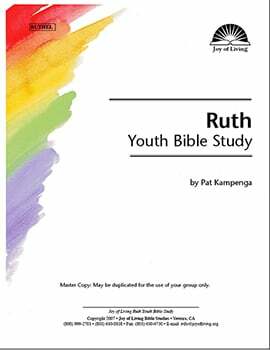 From Ruth we see that participation in God’s kingdom is not decided by blood, but by obedience that comes from faith. A beautiful story of love and grace, the story of Ruth reminds us that no matter how evil the time, God has His people; no matter how hopeless a situation may seem, God is greater. No matter what—God’s plan and purpose will be accomplished.